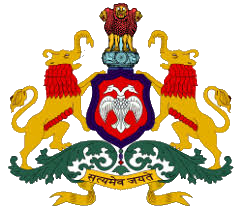 Dakshina Kannada (South Canara) is the southern coastal district of Karnataka State with an area of 4859 Sq.K.M. The district is bound by sea in the west and Western Ghats in the East, Udupi district in the North and Kerala State in the South. Mangaluru is the district head quarters of Dakshina Kannada and it has become an education hub with a number of reputed institutions offering variety of courses attracting students from all over the country and abroad. It is also famous for its beaches, temples and religious places of worship.